The Local Health Integration Networks (LHINs) appear to be making an effort to communicate their value amid increasing attacks from provincial PC Leader Tim Hudak. 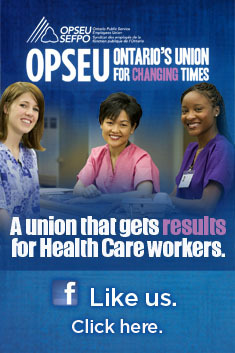 Hudak is campaigning hard on a platform of eliminating the LHINs. The problem is, he has never said what he would replace them with. In today’s Sudbury Star, Louise Paquette, CEO of the North East LHIN, makes a pitch about the importance of LHINs making decisions locally, despite the fact that the geography of her LHIN runs from Parry Sound to Hudson’s Bay and North Bay to Wawa. The LHINs do provide some level of process and planning to changes in the health system, but it is far from consistent. It is also sometimes overstated – Paquette claims credit for reduction in wait times while remaining silent on the substantial transfers of cash from the Federal government and the province. Having a LHIN in place has made a difference. A decision this spring to close a community-based transitional mental health facility was put on hold by the Central East LHIN after we raised questions about the lack of planning for patients who resided there. At the beginning of this month we raised questions about a botched transfer of a preschool speech and language program from Grey Bruce Health Services to the Grey Bruce Health Unit. Unable to come to an agreement as to how these services would transfer, the hospital simply issued layoff notices to the speech language pathologists and their assistants. The Health Unit is now attempting to recruit the same people. The problem is, the hospital has yet to submit an integration proposal to the South West LHIN as required under the Local Health System Integration Act. That integration proposal is supposed to have a HR plan — something clearly missing. They are shooting first, asking permission afterwards. The LHIN informs us they have notified Grey Bruce Health Services that the proposal must be treated as an integration. If there is one profession health care providers have particular difficulty recruiting, it is speech language pathologists. On average, it takes a health care provider a year to recruit a SLP in Ontario. Should these individuals decide to take their experience elsewhere, the health unit may face difficulty maintaining the preschool speech and language services the hospital formerly provided. In 2008 the South West LHIN received a report from their Children and Youth Priority Action Team. The team recommended greater integration between providers of adolescent and youth services, including speech language therapy. They also stressed the need to have more equitable service throughout the LHIN, particularly in the north – represented by Grey and Bruce counties. It is not clear how transferring the service outside the scope of the LHIN will help integrate the program with other services within the LHIN. Media reports suggest the decision had been made by the Ministry of Children and Youth Services, which only partially funds the service. So, will we actually see a real decision, or will the SW LHIN make another decision after the fact? It wouldn’t be the first time – Regional Mental Health London and St. Thomas issued layoff notices to staff long before the LHIN was able to rubber stamp plans to move their work to Cambridge. This January the Central East LHIN approved an integration after the agency had already closed its doors at the end of December. The question is, when the activity happens before the decision, is the LHIN really making any decision at all? Given the SLPs and their assistants will be finished at the hospital in August, there is little time left to make a real decision. There are enough questions here for the LHIN to do more than wield a rubber stamp and claim how important local decision-making is. Stay tuned. This entry was posted in Hospitals, Local Health Integration Networks and tagged Grey Bruce Health Services, Grey Bruce Health Unit, LHINs, OPSEU, preschool speech and language program, transfers. Bookmark the permalink.